On my birthday, I got this weird present. They weren’t wrapped with pretty pink ribbon nor beautifully packed with wrapping paper, but since I got them on my birthday, I consider that they were my birthday present. The present I got were eggs baked on elvan stone. 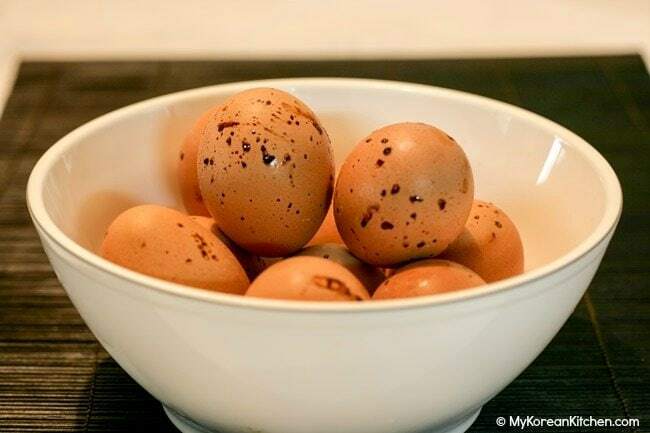 Have you ever had eggs baked on elvan stone before? I wouldn’t think so. It was my first time trying these eggs too. You can see them at a Korean sauna called Jjimjilbang (찜질방). These eggs are called “Maekbanseok Gyeran” (맥반석 계란, Maekbanseok is elvan stone and Gyeran is an egg). Apparently lots of people love to eat those eggs there. Eggs baked on elvan stone are more expensive than normal hard boiled eggs at the Korean sauna. (You might be thinking why would you want to eat an egg at the sauna anyway?) 🙂 Well, I do not know the reasons, but this is part of Korean culture! That’s all I can say for now. Apparently it takes about 3 hours or more to bake the eggs on the stone and they taste really good when they are still warm. But they were cold when I had them. It tastes like roasted chestnuts. It’s nutty and smoky. The unshelled egg is soft, delicate, and shiny. When I first cracked the shell, I thought they were boiled in soy sauce because of its brown colour. Now you would wonder why these eggs are so special? I did too. I couldn’t find any reason for their popularity, but an elvan stone is known for its health benefits. There is some information about elvan stone here. It sums up the health benefits pretty well. Now I feel like going to a spa and having some warm baked eggs on elvan stone. What about you? 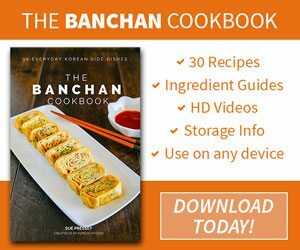 Update: You can now make these Korean sauna style eggs at home using a rice cooker! Ready in 50 mins. 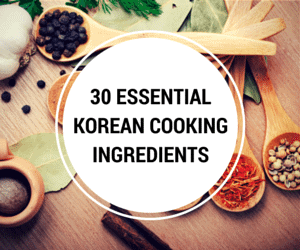 For a recipe, check here! 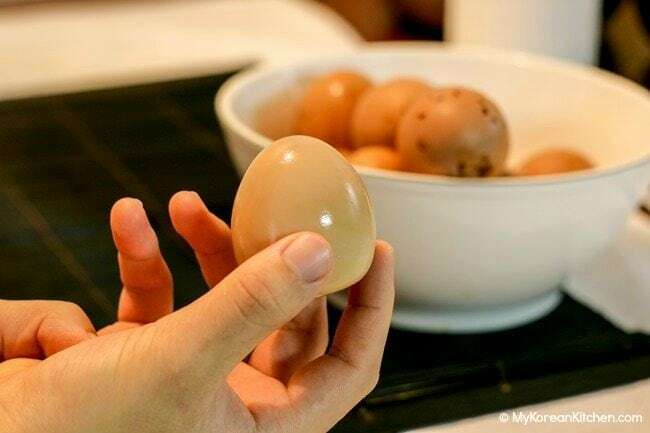 Take the eggs out of your refriguator, leave them on the table for at least 2hours. 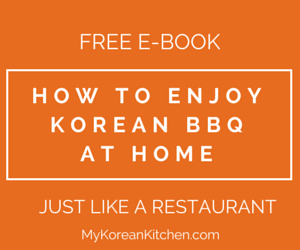 Steam them in your korean high-pressure rice cooker for 70min, using a cup of water in the bottom and your steaming inlay. Really? That sounds very interesting way of cooking an egg. I shall try it soon! Wow! That is great to know. I always wondered why they ate those. You can also use a crockpot. Put a single layer on bottom, or lay others on the sides on top of the bottom layer. Only the eggs touching the crockpot will get the full smoky flavor. The total cooking time on “high” is approximately 3 1/2 hours, then turn off and let sit for about an hour. Tea eggs were the weirdest egg I have ever eaten. Kat, certainly these ones didn’t have the sulfur smell. You might like these. Sandy, cracking eggs on their heads, I don’t think it is very common. TV dramas like to do so to make it fun I guess. Evil Jonny, I have read lots of people wanting to make these eggs at home and they try, no one succeeded so far. 🙂 I hope you break the record. tigerfish, I totally agree with you. However, spa places seemed to cook them in bulk, so you can eat them straight away. Melting wok, what are the tea smoked eggs like? I haven’t seen them. Wow, I’ve never heard of this before. So cool! I want to try some. I’ve always wondered why people who go to bath houses must eat these eggs. And why do they crack the eggs on their heads? At least this is what the TV drama shows. Do koreans really do that when they go to spas? 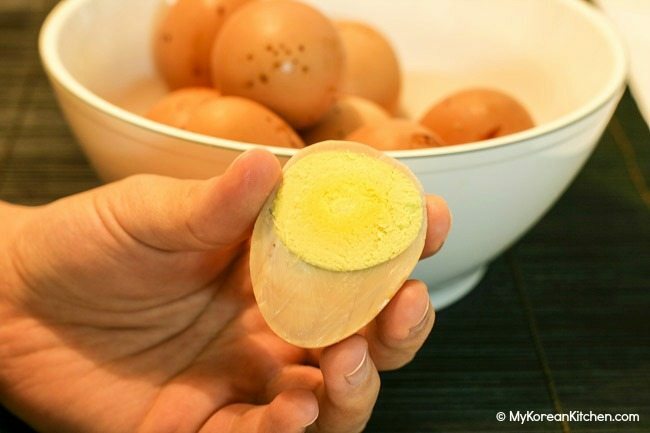 These sound like the “onsen tamago”–the eggs that are hardboiled in the hot spring water. I think I would like these better because they wouldn’t have the sulpher smell like the hot spring ones do.